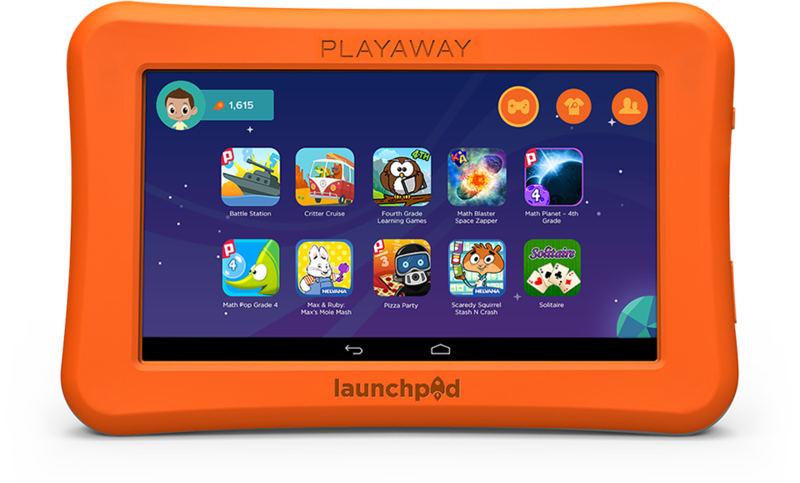 Brand new Playaway Launchpads are now available for circulation at the Abington Community Library! Simply choose a tablet based on age and content. Use the binders at the main desk or the children’s library to browse the selection. Launchpads have a check-out period of 7 days with no holds or renewals. Each tablet includes pre-loaded content with an easy-to-use interface and ad-free learning apps. Tablets are available for Prek-K (Ages 3-5), Grades K-2 (Ages 5-7), and Grades 3-5 (Ages 8-10). See below for some examples. Vehicles, cityscapes, robots and more comt to life as children develop their curiosity in building and engineering. This reading adventure brings words to life through interactive games and storybooks designed to teach everything from letter and word recognition to spelling and reading skills. 1st graders will master big-kid math concepts with these virtual manipulatives and touch-based games. Every little scientist will have fun traveling back in time to learn about the world of dinosaurs! This world-wide adventure will have kids exploring the world in a whole new way. Kids will push thinking to new levels and solve real world problems with challenges that encourage them to combine art with science, technology, engineering, art, and math skills!